On five continents, the HUBs mix social and environmental concerns to achieve lively synergies. The list of cities includes Prague and London, Melbourne and Sao Paulo, Abu Dubai and Johannesburg, San Francisco and New York, breaking down the traditional barriers between for-profit and non-profit, philanthropy and ROI, surfing the internet and hanging out together. Tim Freundlich and the folks at Good Capital have taken social entrepreneurship another few steps by linking the Hubs (“where change goes to work”) with big, international gatherings to explore the state of the art of social capital (SOCAP) and a vehicle for making practical and visionary investments (Impact Assets). Knitting together a business and financial system that supports productivity and sustainability requires both innovation and coming to terms with existing structures. Impact cannot happen in isolation. It requires collective action. 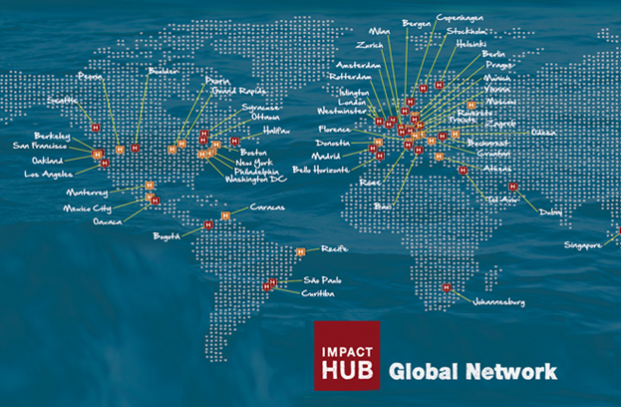 Impact Hubs make up a global network of people, places, and programs that inspire, connect and catalyze impact. Impact Hubs are where change goes to work. 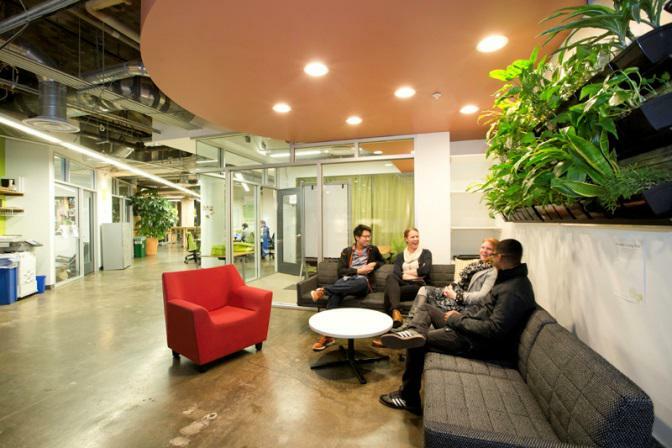 Part innovation lab, part business incubator, and part community center, we offer our members a unique ecosystem of resources, inspiration, and collaboration opportunities to grow impact. We believe a better world evolves through the combined accomplishments of creative, committed and compassionate individuals focused on a common purpose. Joining our diverse community of members and collaborators will inspire, connect, and enable you to develop your best work every step of the way. We are committed to continually understanding, measuring and adjusting our efforts to ensure impact. Our goal is to jointly create platforms and experiences that inspire, connect and enable individuals and institutions around the world to sustainably impact society. Through our direct and collaborative efforts we support journeys of impact on many different levels. A look at our 2012 assessment reveals that more than 400 new ventures have been started by members of Impact Hub while current initiatives have created more than 1,500 new jobs and generated solutions in the many diverse fields of their activity. Members felt inspired to take positive actions, connected to a supportive community and enabled in their own journey of creating positive impact. Our journey to impact has only just begun. Common problems require collaborative solutions. Creating the change we want in the world is a collaborative effort. Around the world Impact Hubs partner with a variety of like-minded organizations to mutually support each other to build sustainable solutions for the world. We challenge you to use the power of your business to drive meaningful social change. We welcome new alliances with businesses, individuals and organizations looking to increase their reach contribution to the social impact economy.